Welcome to this weeks Tuesday Slot, in this article by Irene Parker looks at the Seniors vs Crime project, but first another warning to our UK and European readers. We have recently been reporting about the activities of a bogus law firm called Abogados Lopez, apparently working out of Malaga, well they are still at it. They contact clients who have cases running against their timeshare resorts, the information they have seems to be fairly accurate, they ask for confirmation of details and explain that this is so they can put the case before the court within the next day or so. A few days later a Hope Brugge or Megan Haywood calls with the wonderful news that the case has been won and that the court has awarded a substantial amount, but a fee to release the funds from the court is required. Depending on the amount awarded it is around £1000 to be paid by bank Transfer to the lawyer. Two names have been reported for the account holder, Kingsley Ehigiator in Malaga and Isidro Palm Perez in Barcelona. We have also now been informed that a second call from a Paul Tyler or Taylor, this time he needs a payment of 7% of the awarded amount to pay the fees for the bank transfer. Again this is a scam and this is not a bona fide law firm, somehow they have stolen sensitive data and are using it to defraud timeshare owners. Can the “Senior Sleuths” help timeshare fraud victims? Perhaps even more important than the raw numbers is the psychological and emotional impact of crime on our older citizen. 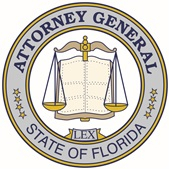 The Florida Attorney General’s Seniors vs Crime Senior Sleuths act as “eyes and ears” of the Attorney General’s Office and local law enforcement by reporting on scams, high pressure sales techniques, false or misleading advertisement, or other deceptive or illegal activity. There is similarity in cases the Senior Sleuths have pursued and the 459 timeshare complaints Inside Timeshare has received. Reader complaint #452 was submitted by their son Eric. We have not identified the family or the company to allow the company time to respond to the complaint. My parents are both 78 years old. My father has been diagnosed with Alzheimer’s. My mother is hard of hearing. Points were purchased in Florida at a hotel presentation and at a later date in Virginia. They were pressured for six hours in Florida, told the price was time sensitive. They signed electronically, despite having no computer skills. In Virginia they dealt with seven sales agents who kept them for seven hours. My parents told the agents they had limited savings and could not afford the second purchase. My mother said she started to cry. The sales agent said they had not purchased enough points the first time so they would lose everything if they did not buy more points and that the price per point would increase if they did not buy that day. My parents have never used the points. They cannot travel because this has caused their health to deteriorate. The $27,000 they spent represents all their savings. The first purchase of $13,000 has been paid in full. The balance is a loan. We will be filing a complaint with the Florida Attorney General and the Virginia Attorney General, although I’ve learned through Social Media they will in all likelihood dismiss the complaint for lack of proof. There would have been no trouble going back the next day, buying at the same price as the day before. This would at least have given Eric’s parents time to talk it over with Eric or with a financial advisor. Based on reports from members filing timeshare complaints, in all likelihood the company will respond, “We are not responsible for what our sales agent say,” falling back on the oral representation clause. Given the company’s response and the Florida Timeshare Division and Virginia Timeshare Division’s likely response, “You have no proof,” as our readers have reported back to us, timeshare sales agents are thereby encouraged to misrepresent. In effect, there is no timeshare regulatory enforcement in some states. This has not come to fruition for our readers complaining to the Florida and Virginia Timeshare Divisions. Maybe Senior Sleuths can help. Give them a try if you bought in Florida or live in Florida. Once again we are left with public awareness as our only consumer protection. The Third DCA confirmed that the standard requires proof of probable, not possible, deception; that the potential deception must be of consumers acting reasonably in the circumstances, not just any consumers; and that the deception must be likely to cause injury to a reasonable relying consumer. The family is asking the second purchase be rescinded. The Senior Sleuths resolved similar complaints described below. In 1989 the Florida Legislature ordered the Attorney General to form a task force to report on crime and the elderly. The Task force on Crimes and the Elderly, formed and chaired by Attorney General Bob Butterworth, held a number of public meetings around the state. Mr. Vern Thornton served on the Task Force as a consultant with the AARP Criminal Justice Services. 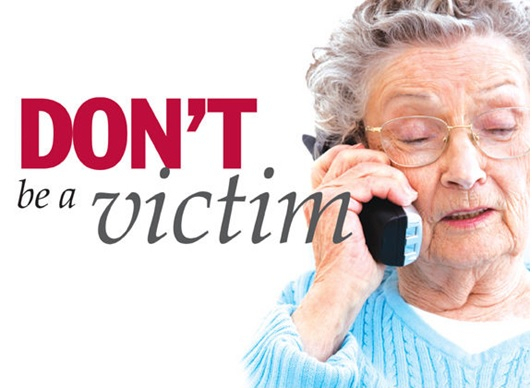 The Task Force found that seniors were being targeted for scams, were being subjected to high-pressure tactics by salespersons, and were being deceived by false advertising at an alarming frequency. Perhaps even more important than the raw numbers is the psychological and emotional impact of crime on our older citizen. Vern Thornton presented the Attorney General with a crime prevention program, to be run by volunteers and focused on Florida’s growing senior population. The program was to be called the Seniors vs. Crime Project. Volunteers, now called Senior Sleuths at the suggestion of the Attorney General, became more active in assisting law enforcement. What started as a fairly small organization, primarily on the (Florida) East Coast, has now grown statewide with over 2,000 Senior Sleuths. While methods used by the Project may change over the years the goal will remain the same – prevent victimization and provide a way for seniors to contribute to the safety of all Floridians. They told the salesman they wanted payments not to exceed $250 per month. When they returned they learned the monthly payment was $587 per month. The dealership agreed to take the automobile back and refund monies paid. This is a common timeshare complaint. Members report they are told they will be paying one loan amount but the actual loan amount turns out to be much higher. Also, many are told their maintenance fees will go down if they buy more points, but maintenance fees end up being higher. A St. Augustine couple signed up for a vacation membership with a travel agency that cost $2500. The couple could not access the website that promised them vacation discounts. Through no fault of their own, they were not able to access the website for five days. Once they finally gained access, they realized they could have arranged vacations on their own for a lower price than that offered by the membership website. The travel agent initially cited that the time to rescind the contracts had lapsed as presented on the website. Ultimately the couple was reimbursed the $2500. Inside Timeshare has received many complaints from readers who describe how the company and/or the sales agent were able to dodge the rescission period by not allowing access to the booking site until after the rescission period had passed or saying bogus programs to sell points or pay maintenance fees would not be available until after the first of the year. Two Options for Assistance. When requesting assistance from the Senior Sleuths at a Project Office, a person has two options. The person may only be looking for coaching “assistance” through a situation. Seniors Sleuths can advise the senior on how to handle a particular matter and not get involved with anyone except the senior. The victim is not required to sign anything to receive this type of assistance. It’s just one senior talking with/advising another senior. Civil Disputes involve many Civil Actions. All of the civil proceedings are expensive and arduous, and out of the financial and emotional reach of most seniors. 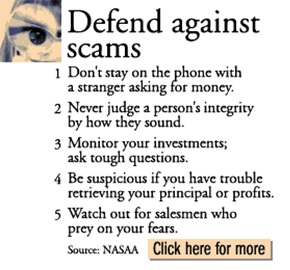 While many civil lawsuits against scams are successful, to make matters worse, the proceedings expose a senior who has been scammed to public display for being naive or foolish, which is effectively making the victim a victim again. And making the victim a third time victim, most often when a senior “plaintiff” wins a civil case the efforts to collect the court award involve another long civil process. The Seniors Vs Crime Project’s Senior Sleuths do everything possible to reach a settlement for a senior without cost and without public or family embarrassment. Inside Timeshare is pleased that the Attorney General’s Office is taking this matter very seriously, when you consider the number of complaints that we are receiving with the number going up on an almost daily basis, this is certainly a matter that needs to be dealt with. If you have any questions or comments on this or any other article published, use our contact page to get in touch. If you require any help or advice about any company that contacts you or you have found on the internet, then Inside Timeshare is here to help. We will be sharing our information and reporting on each others articles. We wish this new site all the best. Remember do your homework and keep your money safe.